Investing in options can be very lucrative, but many shy away from it because of the perception of complexity and high risk associated with this endeavor. In non–technical terms, Getting Started in Options, Illustrated Edition skillfully demystifies the options markets, distinguishes the imagined risks from the real ones, and arms investors with the facts they need to make informed, profitable decisions. Discusses how to calculate options returns, "test run" activities to try out new theories, and much more. Internet access and lower costs have combined to bring options to anyone and everyone who wants to use this effective investment vehicle. 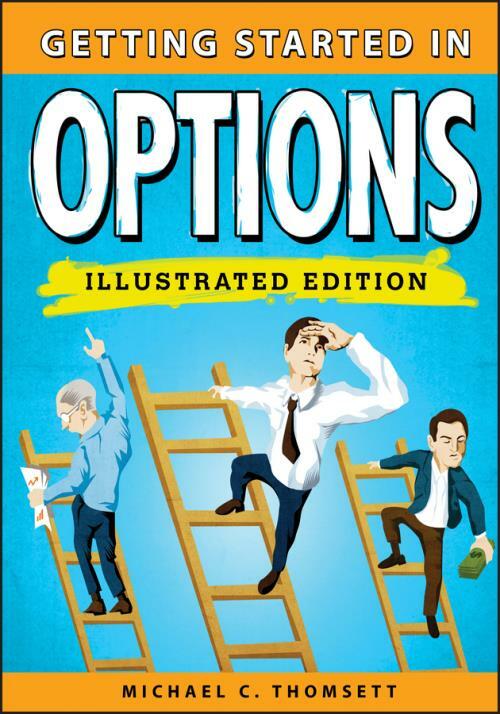 Let Getting Started in Options, Illustrated Edition show you how to make the most of them. MICHAEL C. THOMSETT has written more than seventy books on investing, real estate, business, and management. He is the author of several Wiley books, including the previous editions of the bestselling Getting Started in Options, as well as Getting Started in Fundamental Analysis, Getting Started in Real Estate Investing, and Getting Started in Swing Trading. He contributes articles to many websites, including Minyanville Media and TradingMarkets.com as well as investor–oriented magazines such as BetterInvesting and the AAII Journal.